You Were Right, I Was Wrong. 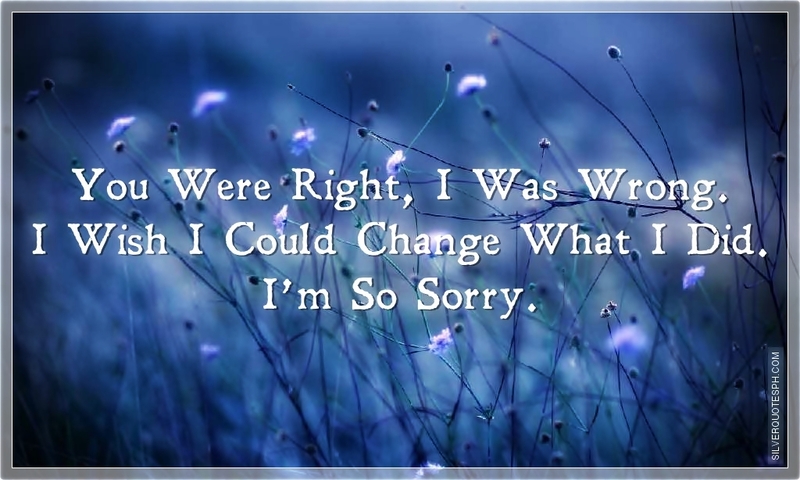 I Wish I Could Change What I Did. I’m So Sorry.